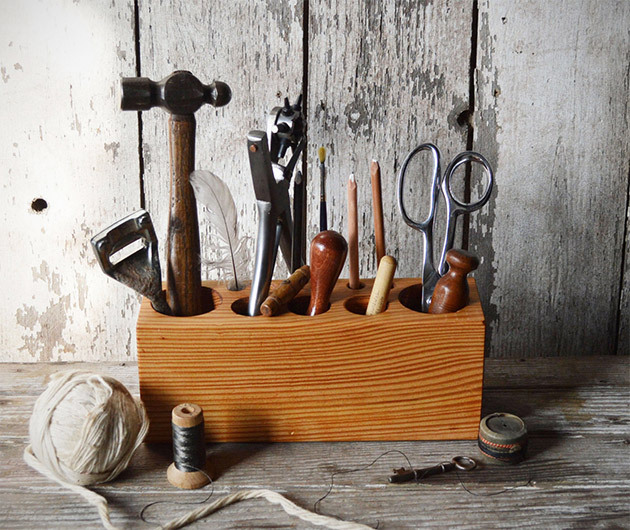 Desk Caddy offers a gorgeous storage solution for your everyday tools and implements. Eleven holes are carved into beautiful reclaimed pine wood from 19th century Philadelphian houses. Each block varies in grain and texture meaning you'll own your own unique slice of American history.